A strong client-agency relationship can take a brand to greater heights and a successful one is usually fostered when both parties see each other as business partners. Red Bull Malaysia is no stranger to such a concept. 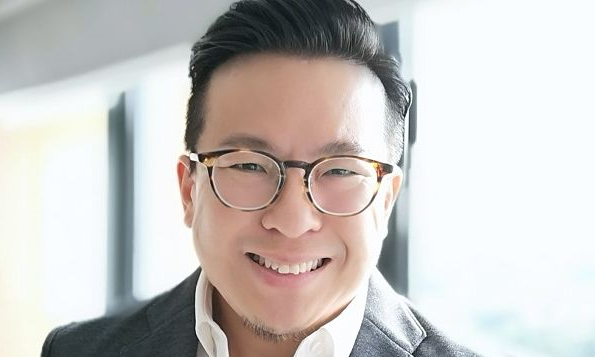 Its head of marketing, Edmund Lee (pictured), told A+M in an interview that the client-agency relationship is similar to a partnership and needs to work “like a hand in glove”. While this might be common knowledge within the industry, the productivity of such partnerships tend to deteriorate due to the lack of communication and inconsistency of brief. “This may sound simple but getting the brief clear and articulated is the fundamental struggle in any client-agency relationship,” Lee said. For such a relationship to be effective, he said that both parties need to be clear on a common goal and acknowledge the roles that they play. “Clients need to be sure the briefs are clear, robust and consistent, while agencies need to ensure their work answers the business issue in the brief,” Lee said. He explained that the clients’ primary role is a business manager and they need to be clear on the business issues to be solved, as this drives the agency brief and the quality of the brief directly affects the agency deliverables. Red Bull currently works with TBWA and Burson Cohn & Wolfe. In addition to forging a strong relationship with agencies, hunting for good marketing talent is also a common issue plaguing the marketing industry. However, Lee said that finding and moulding “good” talent is up to companies. “My experience with good talent is that they are focused on personal growth. Hence, continuous learning through coaching and guidance with realistic challenges thrown in will not only make good talent better but would also retain them,” he said. Grit and hunger is future proof. Additionally, project management skills are also crucial because getting a campaign or a new product launched on time requires strong and disciplined project management skills, he said. Lee also listed digital skillsets as an “added bonus”, as it is imperative for brands to take advantage of various platforms in today’s digital age to target the right consumers. When it comes to digital and social, Red Bull’s investment in that space has been “growing significantly” over the past three years, according to Lee. However, traditional media still accounts for the bulk of its overall expenditure. “We are continuously accessing the spend between digital and traditional to be in tune with our consumer media consumption habits. This is to ensure we are ahead of the curve when it comes interacting with consumers on the digital sphere,” he said. The brand is also focusing on on-ground engagements to raise awareness and educate consumers about its energy drink. While digital will continue to be a “cost-effective advertising approach” for a brand to engage and reach its consumers while remaining relevant, Lee said that it is a very “saturated platform”. “Marketers need to be sure of where and when their customers will be online to effectively reach out to them, right from the choice of words to the combination of visuals that will pique their interests,” he said. At the end of the day, relevancy is still key and Red Bull refrains from merely pushing ads online or social platforms. According to Lee, Red Bull is often seen as an energy drink that is consumed while studying and the brand wanted to change the perception that it is more than just about meeting deadlines and exams. Hence, venturing into e-sports was a way for it to not only remain relevant among consumers but also target the youths. While Lee did not go into the specifics, he said its brand health tracking has shown an increase in brand consideration ever since it got involved in e-sports. During last year’s Budget 2019 announcement, the government allocated RM10 million for the development of e-sports in 2019. Such an investment, Lee said, will generate more income and investment into Malaysia that will help drive economic growth. This is due to the potential rise in game publishers turning to Malaysia to create more gaming content. The rise of e-sports in Malaysia, however, will also pose a problem for brands due to the potential saturation of branding messages throughout respective tournaments. Brands will also have to strive to differentiate themselves from competitors within the e-sports space. “Involvement in e-sports will require a huge investment from brands and potentially, only a handful of brands can participate in these events,” Lee added. While the RM10 million budget allocated to the e-sports scene is a start, Lee said that the government and brands will need to continue showing support in terms of event sponsorships to create opportunities for the community to grow. Apart from organising huge tournaments, sponsorships are also needed for small to mid-scale events, Lee added. “Everyone needs to work together to address the current perceived image towards e-sports and gaming, to showcase the potential that this industry will bring to our country,” he said.